A range of components required for sealed heating systems including 6-300 litre expansion vessels, filling kits and pressure relief valve. 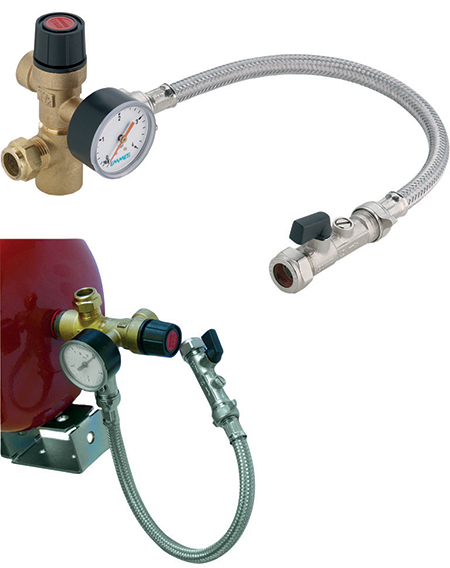 Kit consists of: 15mm compression filling loop, c/w with a double check valve with integrated mini ball valve, 40cm aluminium braided EPDM hose and second mini ball valve; 3 bar safety valve; 0-4 bar pressure gauge; 4-way connector (made up of 3/4” FBSP vessel – 15mm copper compression mains – 15mm male spigot for filling loop – 1/2” MBSP safety valve). Vessels up to 24 litres should be used with the sealed system kit 01306406. The bracket provided in the kit will support the vessel and controls kit. For 35 litre and 50 litre, please use sealed system kit 01306408. 35 litre 00102500 and 50 litre 00102505 vessels (see below) are provided with an in­tegrated base support ring, floor standing, to carry the weight of a full vessel. 00102400 and 00102405 need support fabricated on site. 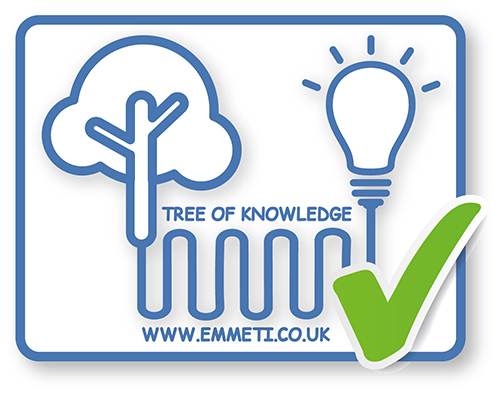 Used in conjunction with a sealed system kit to reach the required sealed system pressure automatically. When fitted with a type CA WRAS approved backflow device, can be left permanently connected. 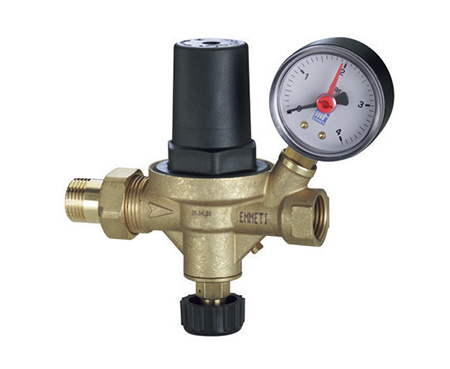 This allows constant maintenance of the set system pressure. 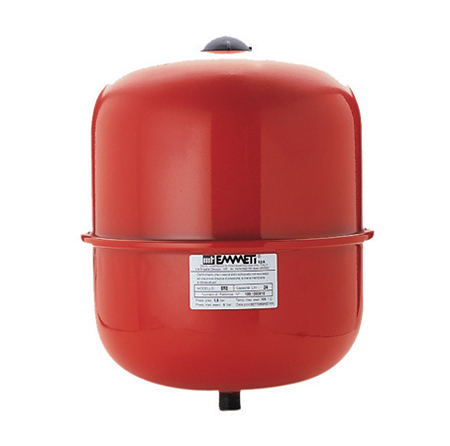 What size connection is on heating expansion vessels? Can you set the pressure on automatic filling valves 00200514 and 00200614? Yes, it can be adjusted from 0.3 to 4 bar system pressure.